I am sorry to write that. I have followed his excellent blog Sipsey Street Irregulars, for a long time, and all through that time he's had cancer. It is finally getting him, it appears. Mike Vanderboegh is a hero. He's the founder of the Three Percent movement, the loose grouping of those of us who realize that statists are bent on totalitarianism, and are determined never to acquiesce to this. Perhaps we can stop them politically, but if not, just let them try to enslave an armed population. The name, Three Percent, comes from the percentage of Americans who actively resisted the greatest military power of the 18th century, George III's Britain. This tiny band reshaped world history and ushered in the greatest period of liberty the world has ever known. Vanderboegh, a libertarian and Christian, laid out some very well thought out doctrines for resisting tyranny, both from a moral and philosophical viewpoint, and from a strategic and practical one. He also is one of two men who exposed and publicized Obama's "Fast and Furious" scheme to ship weapons to Mexico in order to fabricate an excuse for gun control in the U.S. (The other is David Codrea.) I follow Vanderboegh's writings and communicated with him a bit. I have learned a great deal from him. I also have found him to be one of the greatest sources of inspiration; he's a man who is never intimidated and always courageous. I love his fighting spirit. It's contagious. It appears Mike Vanderboegh is in the last days of his life, as his cancer has spread. While the purpose of my blog has never been to get anyone to do anything, I will ask that any reader who has cash to spare to donate to him (I've done this myself). If you pray, say one of thanks for him. And if nothing else, take a second to remember, with gratitude, people who do difficult and dangerous things on behalf of liberty for all of us...and resolve to live up to the standards they've set. Note: Here's Vanderboegh's original announcement from January of this year. Vanderboegh's son has taken over managing his blog, so it's still up-and-running and happily will remain on the UC blog list. And be sure to read his Three Percent Catechism here. My dream is coming true -- my presidential dream ticket, Cruz and Fiorina, is reality! These two are intelligent, articulate, consistent, and most importantly, principled proponents of individual liberty and strictly limited government. They are the only candidates left in the race -- perhaps save for a Libertarian also-ran such as Austin Petersen -- for whom this is true. I am quite excited about this; this is the first time in a very long time that candidates who believe in limited government are still in the race as serious contenders so late in the race. I stand by my prediction that Ted Cruz will be the next president of the United States. And if this happens, expect 8 years of President Cruz followed by 8 years of President Fiorina. And expect a rebirth of liberty, not because they create it, but because they will stop the onslaught of the left and create space to succeed for those of us who are fighting to build a genuinely liberal system. The Marxist, Sanders, looks to be collapsing. The fascist strongman, Trump, has mindless followers but a campaign in disarray, and Lewandowski and Manafort battle each other for turf instead of winning delegates. Trump won't win 1,237 delegates, and Cruz will win the nomination on the second or third ballot. Criminal and Alinskyite Clinton will have no chance, once she is either indicted or confronted with Ted Cruz in a debate. If she's indicted, her replacement will find a party in chaos, and they'll collapse. Or so I predict. Theses are, unquestionably, very dangerous times. GOP leaders such as the despicable bonehead Boehner and Karl Rove and Fox News are pulling out all all stops to block Cruz. Trump conceivably could win the Republican nomination, leaving us with a choice between tyrants. Or a brokered convention could give us a dunce such as Romney or Ryan. If Obama's DoJ does hand Clinton an indictment and leave us with a Trump vs. Warren or Biden race, nothing is predictable. Regardless, the only pro-liberty candidates with a chance of winning are Cruz-Fiorina, and for them to be in the race at this stage is very happy news. It is the first election since at least 1984 for which by this point, late April, a small-government candidate still is in the running. 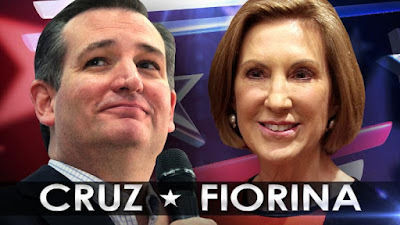 Cruz-Fiorina -- Unforeseen Contingencies' dream ticket! How to characterize the last 300 years of thought... at least, so far as political philosophy is concerned? I mostly won't comment on it, except for two points: first, the author's overall interpretation of the last 300 years of intellectual history, and second, the author's claim that the Holodomor (the famine suffered by Ukraine in 1932-33) is a fabrication of Nazi propagandists and William Randolph Hearst. Regarding the Holodomor, the 1932-1933 famine in Ukraine was not a fiction concocted by Hearst or the Nazis. As I pointed out to my friend, I lived in Ukraine, and the famine is remembered there – obviously none of my students experienced it, but they knew the family stories and spoke of it. And it was discussed in public, in the media for example. The facts weren't in question. Also, The Black Book of Communism, (Courtois et al.) Chapter 8, uses Soviet archival materials to document the famine. Robert Conquest's Harvest of Sorrow documents the famine with other materials. And there are many other sources that document the 1932 famine. But that's secondary. What's all this about 300 years of intellectual history? In a nutshell, Price argues that the Enlightenment gave rise to (classical) liberalism and capitalism. This dominated the Western world until crises of capitalism gave rise to socialism (including communism), a reaction against capitalism. In turn, Price sees fascism (including the American variant espoused by Woodrow Wilson and Franklin Roosevelt) as a reaction against socialism. Close, but no cigar. If the goal is to make sense of things, there's a much simpler and clearer interpretation of the last 300 years of thought. Here it is. All political movements after liberalism (libertarianism) are attempts to get rid of unalienable individual rights and return to rule by elites, to re-instate the equivalent of the divine right of kings. Prior to the Enlightenment, the world was largely dominated by the idea that the king, or emperor, or czar, or chief, or tribal leader, reigned supreme. Perhaps that's not exactly so; some hunter-gatherers might have had checks on the powers of the chiefs, but you wouldn't want to try explaining these checks to a European king, Russian Czar, Mughal, Chinese, or Japanese emperor, Turkish sultan, or Arab caliph. The generally acknowledged proper order of things was that the ruler ruled, and everyone else obeyed. The Enlightenment ruined this "natural order." The Enlightenment project of applying reason to everything upset it. Careful thought showed that the claims to authority made by those in power were merely hot air. To the contrary, individuals have self-ownership; we aren't the property of leaders. 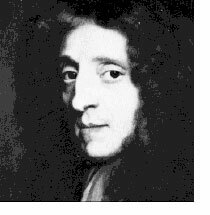 In particular, think of the work of John Locke in his Two Treatises on Government, and the implementation of his ideas by the American founding fathers in the Declaration of Independence and Constitution. Similarly, the Enlightenment showed that a society based on recognizing and respecting individual rights to self ownership can function well, and in fact much better than one based on centralized power. In particular, think of the work of Adam Smith, and his Theory of Moral Sentiments and Wealth of Nations. All of this was the birth of liberalism, a.k.a. libertarianism. It is, as some political scientists have pointed out, the only genuinely revolutionary idea developed in political philosophy in the last 2,000 years. This idea is extremely important, it is liberating and -- for those who liked the old system, either because they want to rule or want to be ruled -- problematic and threatening. Decentralized authority, personal autonomy, freedom of action for the individual, private property rights, free markets -- these are problems for those who would "govern," i.e. substitute their own judgment for that of others in matters pertaining to how those others should live. Socialism, progressivism, fascism, islamism, some kinds of conservatism, and all the other illiberalisms, are simply reactions against (real) liberalism, attempts to get the genie back into the bottle and restore hierarchy instead of equality of rights, equality before the law. In other words, socialism (including Marxism), fascism, Nazism, islamism, progressivism, and some forms of conservatism are all attempts to cancel individual rights and restore hierarchical power. Some are democratic and allow "the people" to vote for the authoritarian leaders (as if voting gives one any real power) and some not -- but all are reactions against individual liberty, i.e. against private property rights applied to all and against free trading on the market as the central organizing principle of society. This is the big picture of the last 300 years of intellectual history in matters political -- the battle of reason and liberalism against statism in all its forms. I think it correctly and clearly identifies the fundamental issues. I can't claim to have invented this analysis -- one can find these ideas in Mises, for example, and Bastiat even , although he predates many of the subsequent illiberalisms. I've believed something along these lines for a very long time, but fairly recently I saw this argument -- that all political philosophies after liberalism (libertarianism) are attempts to get rid of unalienable individual rights and return to rule by elites -- explicitly stated by philosopher John Pepple, and he was citing science fiction writer Sarah Hoyt (I cannot currently find either piece, unfortunately). I recently had the opportunity to ask noted economist and economic historian Deirdre McCloskey about this thesis, and she agreed that it really does describe political intellectual history since the Enlightenment. In addition, it dovetails with her argument that the ethics of freedom and markets and personal responsibility -- the bourgeois virtues -- are what led to modern civilization, peace, and prosperity. With respect to the analysis of R.G. Price mentioned at the outset, socialism was indeed a reaction against the free market individualism of classical liberalism, but so is fascism. Fascism is very closely related to socialism, including Marxism. Both are products of reaction against capitalism and against Lockeian individual rights, and both are products of Hegelianism. It isn't surprising that Mussolini began as a Marxist, or that Hitler and other Nazi leaders observed that they found it easiest to recruit followers from Marxist ranks. Similarly, note that American progressives have their intellectual roots in the German Historical School, which in turn has its roots in Hegelianism and in nationalist economics, both of which are reactions against reason, the Enlightenment, and the laissez-faire economics that emerged from these. It's worth noting that prior to the free market doctrines developed by the Physiocrats, Smith, and the Classical economists, the dominant economic system was Mercantilism (in German, Kameralism), the system of rent-seeking and government favoritism that now goes by the misnomer "crony capitalism." Also contra Price, the "crises of laissez-faire capitalism" (e.g. Great Depression) to which he attributes the rise of socialism were clearly crises of mercantilism, resulting from government interference in the free market. Mercantilism, socialism, Marxism, fascism, progressivism, crony capitalism ... while they differ in exactly how society should be ruled, all agree that the elites ought to be doing it, and to hell with individual liberty, unalienable rights, strict respect for private property rights, and personal responsibility. All would replace what Mises calls contractual organization with hierarchical organization, replace voluntary exchange as the fundamental rule in social organization with compulsion. I think there are reasons why this anti-liberal enterprise will fail. But that will have to wait for my post on the next 300 years.